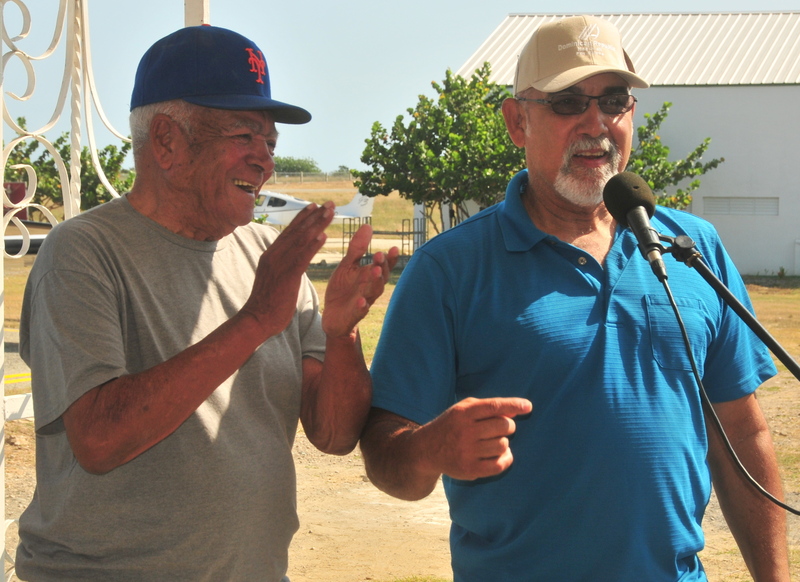 Aerostar to the Dominican Republic – Update – EHFC Members Talking! Life has a way of getting in the way sometimes! Our trip to the Dominican Republic ended on Saturday April 18, we flew successfully flew back to Florida and then back north on Monday April 20th. However, on that weekend I managed to contract “Dominican Revenge”, so this past week wasn’t all that much fun, but now that I’m feeling much better. This is a catch-up post and summary of the end of our trip. The last we posted, we were near Santiago, DR in the center of the country. 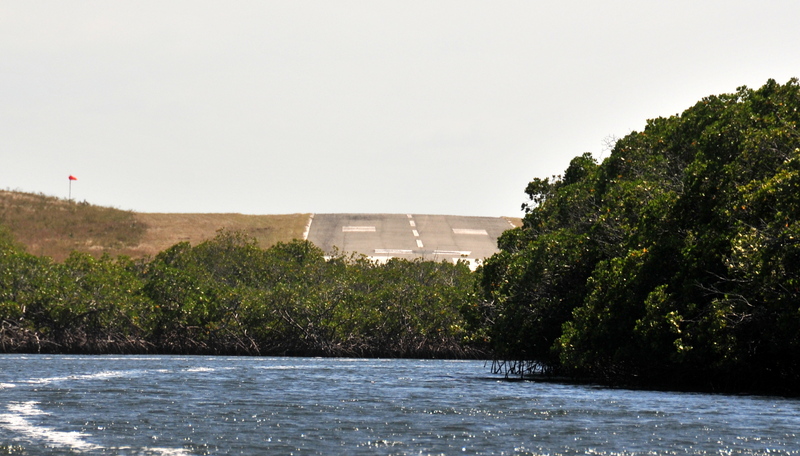 We then flew to Monte Christi (MDMC) in the northwest corner of the DR near the Haitian border. 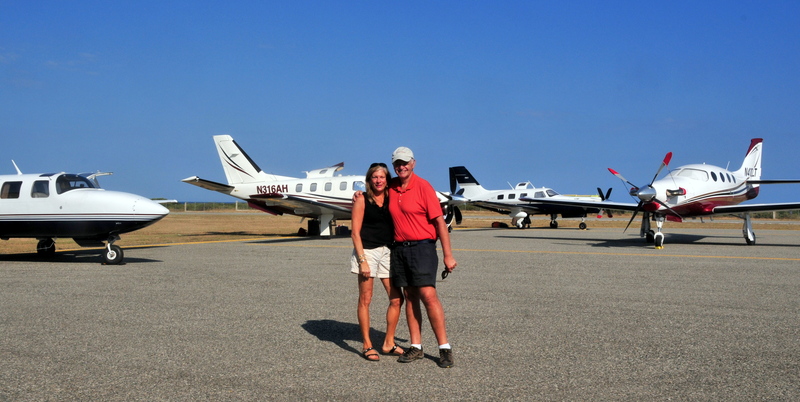 Monte Christi is a general aviation airport with a 3500′ runway along with a modest ramp, no fuel and very quiet. Until we all showed up. Twelve planes and nearly 30 people created a LOT of activity for this little community. 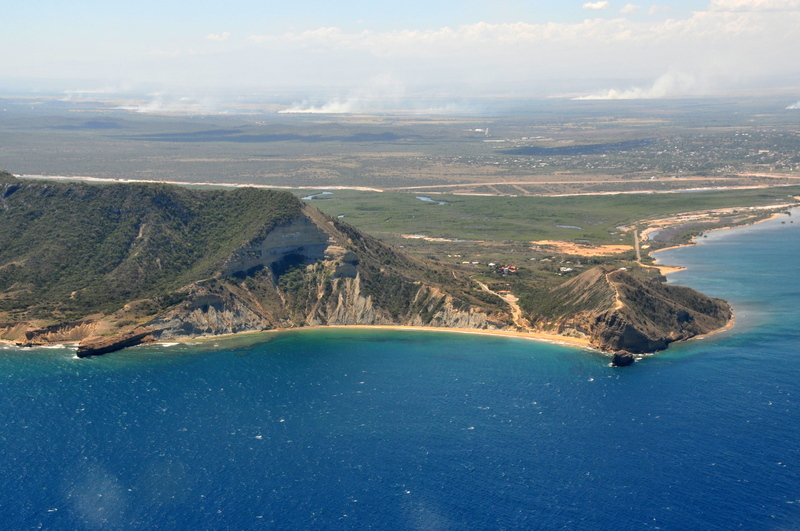 Monte Christi is a semi arid beach community with “El Moro”, a mountain rising right out of the ocean just at the coast. We flew in from the eastern side of this photo. The airport is in the mid-right with the town behind it. The smoke at the top is from fires burning to clear the sugar cane fields. For our twelve airplanes, the Dominicans set up a temporary tower, brought in customs and immigration for our departure (more on that later) and met us warmly. Our Aerostar along with three single engine turboprops — very nice company! As we all know, pilots are from all walks of life and create a small world. And Ithaca is unique because of all our connections throughout the world. 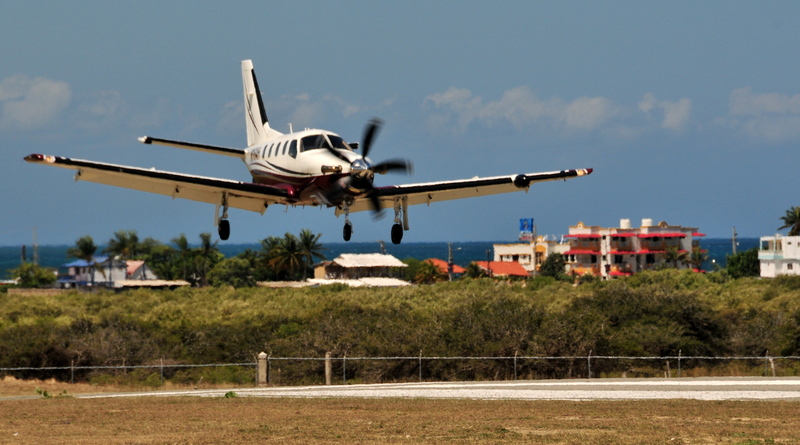 One of our group owns this beautiful TBM 700 turboprop. The owner is from Ithaca — David Hill is the son of Carm Hill, a long-time Ithacan. He didn’t learn to fly here, but he did learn how to put a plane right where he wants it. Right On the numbers! Another fascinating story within our little band is who this airport is named for. The older gentlemen at the left is Osvaldo Virgil. He is the first Dominican baseball player to play in the major leagues. Beside him is his son, Ozzie. He also played in the major leagues, lives in Arizona and flies a C210 although he flew out with his agent who has an Aztec. Ozzie, the elder, grew up in Monte Christi and lives there now. And to honor him, the field is call “Aeropuerto Osvaldo Virgil” So we all got “very” first class treatment! More about the airport. Depending on where you look it’s listed from 2600′ long up to 3500′. It’s actually closer to 3500′, but has the unusual feature of having a good size hup about 2/3rds of the way down runway 5. I didn’t pay a whole lot of attention to the hump till we were on a mangrove tour on the water. From the water, the hump takes on a whole new meaning! Fortunately, the wind blows quite hard there most days favoring runway 5. All of us stopped well before we got to the top of the hill. After a couple of wonderful days relaxing, visiting a banana plantation and local salt works, it was time to head back to the US. We got back to the airport expecting to do a quick immigration and customs exit and depart. But our new friends had a surprise for us. Every official from that part of the Dominican Republic showed up to wish us well and thank us for coming! What was supposed to be a 9am departure turned out to be nearly 10:30am. So finally aft er saying our goodbyes to all, we headed back out over the Caribbean. For us, we were headed to Tamiami FL, (KTMB) to clear customs and then over to Naples. We had learned that although the Dominicans required a hard copy international flight plan and they filed them, they probably wouldn’t get the departure times correct. So none of them were active. A number of us anticipated this (thanks Jim), and had filed electronic flight plans from teh Bahamas with an airborne pickup. So that’s why Flightaware doesn’t show our departure airport as Monte Christi. And it slightly confused our friends at Customs. We spent the weekend with Jim and Connie Wells in Naples, FL and flew non-stop from there back to KITH on Monday in 4:11 averaging 271 knots. Makes up (a bit) for the slow slog down there the previous week. This trip is very doable in just about any airplane. Yes, for slower aircraft, it takes longer and there will likely be more fuel stops. But with planning and making the time available can make it all work out very well. Doing escorted trips with Jim Parkertakes a lot of the logistical hassles out of the planning and makes for an opportunity to meet other pilots from all around the country.